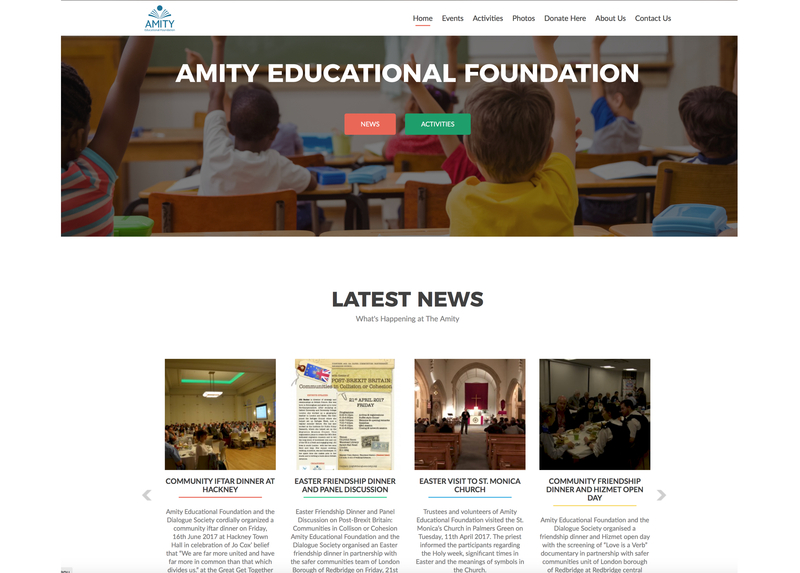 Amity Educational Foundation is a registered charity (1133629) based in London and its main purpose is to provide children and young people from disadvantaged backgrounds an opportunity to express their energy in a constructive manner. Amity Educational Foundation was set up by parents and teachers who are inspired by the teachings of Muslim scholar and peace advocate Fethullah Gülen. Mr Gülen was awarded an Honorary Doctorate of Education by Leeds Metropolitan University in 2010. We aim to support our beneficiaries via the implementation of social and educational activities which increases confidence, vision, and aspirations with respect to the wider world. Furthermore, we also like to complement cultural differences thus promote community cohesion. The provision and assistance in the provision of facilities for recreation and others leisure time occupation for individuals who have need of such facilities by reason of their youth, age, infirmity or disablement or for the public at large in the interest of social welfare and with the object of improving their conditions of life.